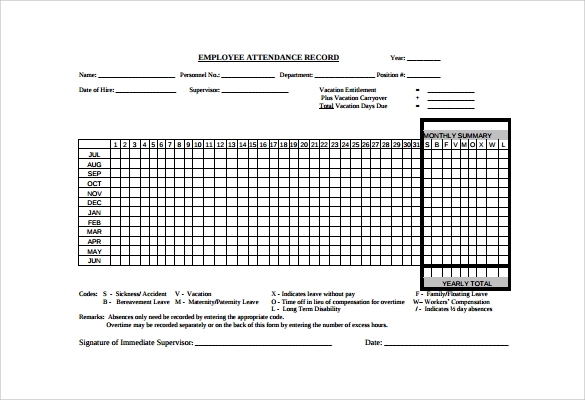 Attendance tracking is a form of tracking document intended to monitor and keep track the presence of a person either a student in the school or an employee in the company. The purpose of attendance Time Tracking Templates is to make an accurate and comprehensive record of the attendance of every individual to any nature of work or area setting. 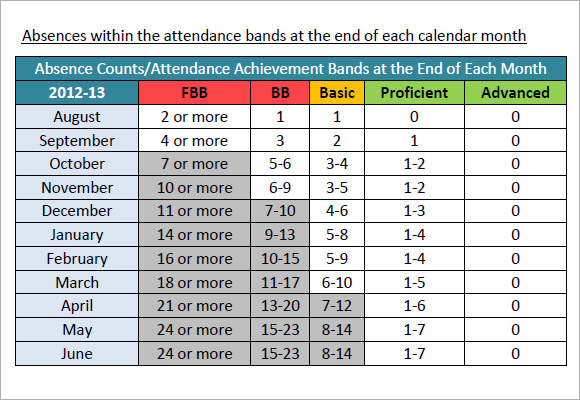 This is a good attendance tracking template in PDF format. 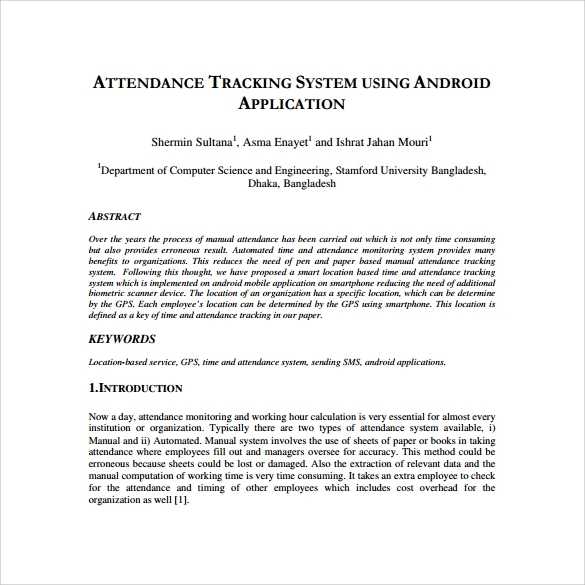 It shows the attendance tracker for employees of a company. All the necessary fields are in place and you will also find the monthly and yearly summary for better record. Download it and get benefits. 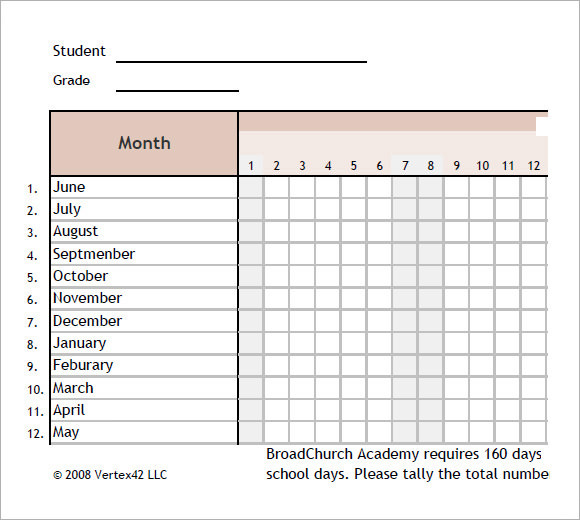 Here is a very simple, easy attendance tracking template for students’ attendance record. It includes fields for name of the student and grade, below which there is a tabular column with the months of the academic year for tracking the attendance on a daily basis. This template basically shows the types of events to be tracked. 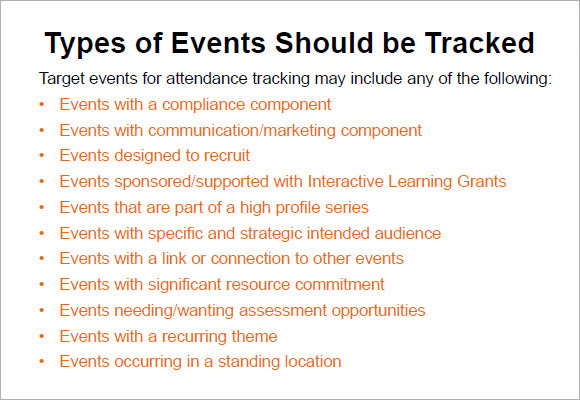 You will find a list of events that should be tracked in order to record the attendance. The events include events with a compliance component, events designed to recruit, events with communication component, etc. This is a template designed for companies to record its data for various factors. 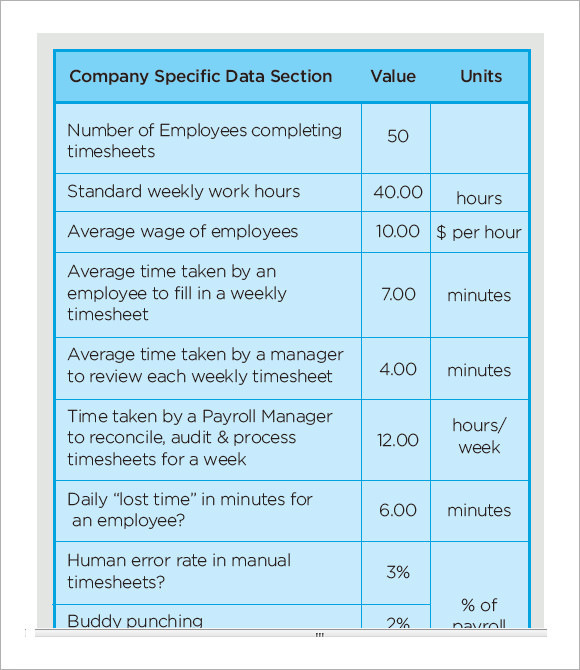 The total time taken to finish a task under each company specific data is calculated. It includes standard weekly work hours, average wage of employees, number of employees completing timesheets, etc. 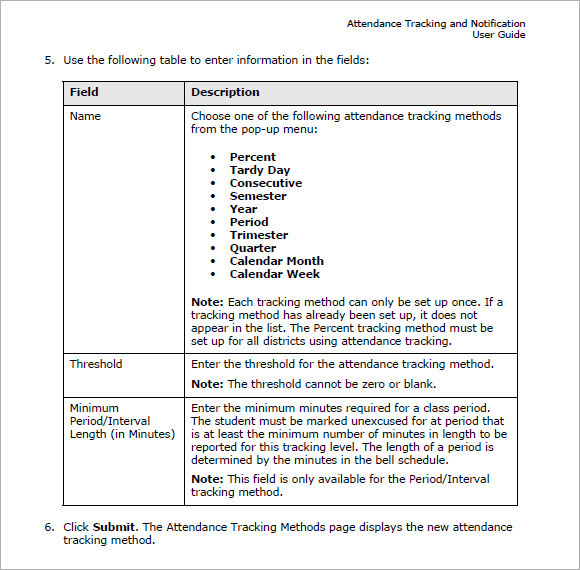 Why do You Need Attendance Tracking Templates? For this purpose, you will need the Attendance Tracking Templates that will help you use a proper format of tracking the attendance. You can just download these templates and come up with a customized attendance tracker rather than designing one all by yourself. When do You Need Attendance Tracking Templates? 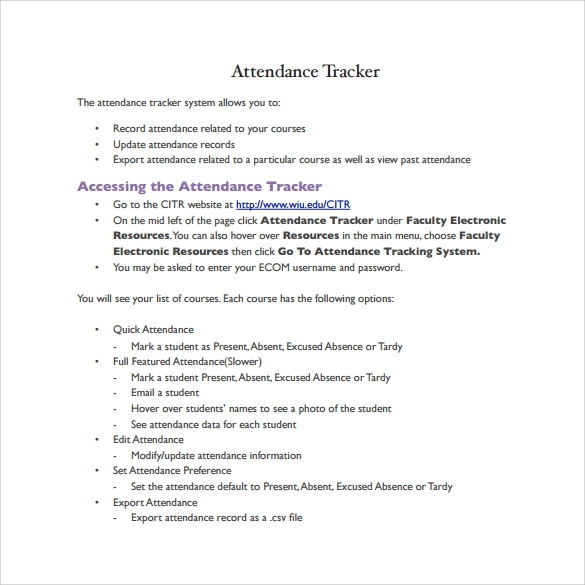 You will need these attendance tracking templates when you want to have a good attendance tracker for tracking attendance and ensuring that there are not many absences. Lesser absences in school means more number of good grades and lesser absences in companies means more success and increased company revenue. So when you want to create an attendance tracker that is good and meets all your needs, you will need these wonderful templates. All you need to do is download the template you feel suits your requirement best and then customize it as per your wish. Make sure that all the necessary fields are included so as to give the right attendance results and better understanding of student or employee attendance as well as performance. Once you have everything ready, you can refer to the format and guidelines to be followed and create a very good attendance tracking template as desired. 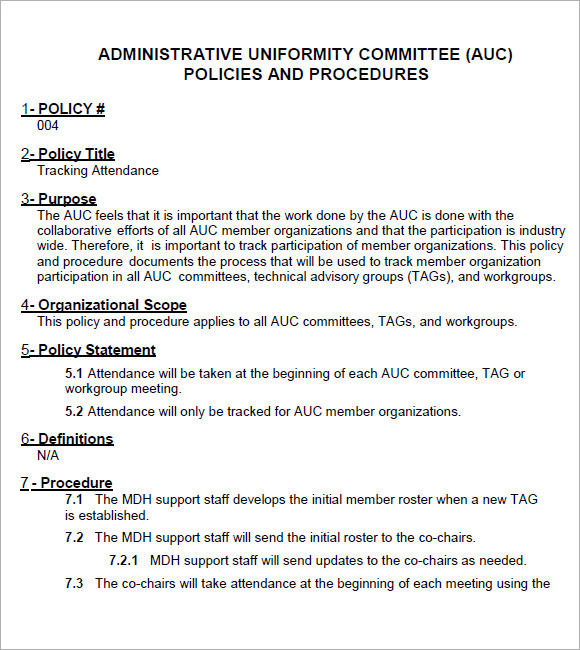 The template for attendance can be found in tracking template online. 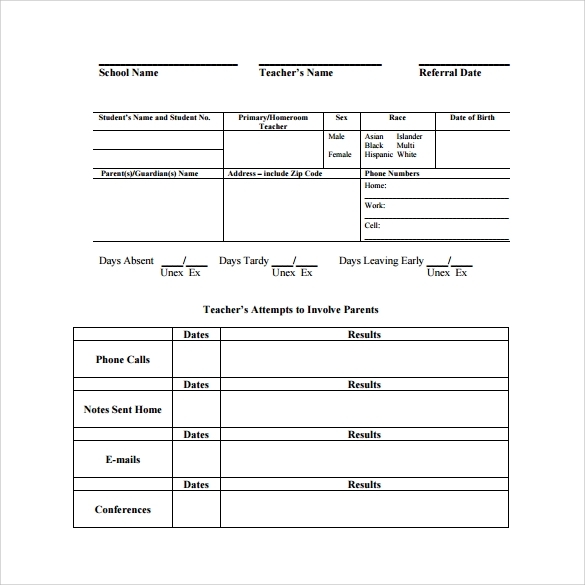 This template provides different samples of tracking related to attendance. It is convenient and accessible to utilize since it can be downloaded for free. Any user can use it through customization or it can be a basis for creating a unique attendance sheet.